Can Dogs Eat Macadamia Nuts or are they really a dog killer? Macadamia nuts (aka Australian nuts) and foods that contain macadamia nuts can make your dog ill. And there is no antidote for macadamia poisoning! In addition to its toxic effects, the nut contains very high levels of fat. The exact reason why macadamia nuts are toxic to dogs is not really well-established. Fortunately, most dogs will recover if treatment is given as soon as possible. How many macadamia nuts can produce toxic symptoms in dogs? 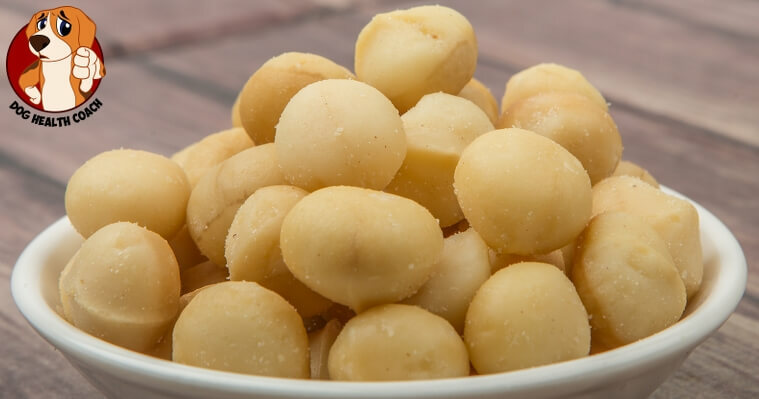 A dog that ate macadamia nuts should be monitored closely for adverse effects especially if it has consumed more than 1 gram of nuts per pound of body weight. Dogs differ in their sensitivity, which means a dog may or may not be affected after consuming a small amount of macadamia nut. Since it may be difficult to determine how many your dog ate, it is a good idea to take your pet to your vet to be on the safe side. Beware of chocolate-covered macadamia nuts! Chocolate-covered macadamia nuts are also an important concern because the toxicity factor has been multiplied as chocolate is also toxic to dogs! The treatment is aimed at the symptoms being manifested and greatly depends on their severity. There is no antidote to macadamia nut poisoning, but early symptomatic treatment can sustain the dog until the toxin has been eliminated from the body. Giving activated charcoal can reduce absorption of harmful toxins from the digestive tract into the bloodstream. Activated charcoal is something that pet owners should have in their pet’s medicine cabinet. It is a first-aid treatment for when a dog ingests something they shouldn’t have. Time is of the essence in cases of poisoning, so it’s a good idea to give activated charcoal to your dog before calling your vet or taking your dog to the vet clinic. Take note, however, that there are situations where activated charcoal won’t work, such as when your dog consumed cyanide, alcohol, lithium or arsenic. These are toxic substances that require a different method of treatment. Vomiting should be induced if your dog ingested macadamia nuts within the last hour. However, this is best done by the vet to prevent unnecessary complications such as nuts lodging in the esophagus or aspiration of food contents into the lungs. Mild cases of vomiting may be handled at home. However, it is still a good idea to call your veterinarian. But if the dog continues to vomit and other symptoms of poisoning are being manifested, you should take your pet to your vet immediately. Intravenous fluids may be needed when severe symptoms are present, as well as medications to address severe muscle tremors, elevated heart rates, hyperthermia, and defects in the dog’s blood clotting mechanisms. Prognosis is favorable provided that the problem is adequately addressed as early as possible.